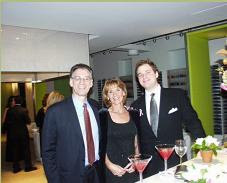 The Libby Ross Foundation held their Sixth Annual Gala in New York City's Design Center this past fall. Over 400 guess attended this elaborate event. Pink rose petals and decorative chocolate pieces were scattered throughout this festive and elegant affair, and over $100,000 dollars was raised for breast cancer awareness. Lori Ross and Marla Willner founded the Libby Ross Foundation in 1999. Lori's Mom, Libby, died from breast cancer, and Marla's Mom is a brave two-time survivor of this sinister disease.Guests danced, mingled and bid on the many items held in the silent auction that included items such as sports memorabilia, entertainment, home décor, wines and spirits, travel, fashion, cosmetic and fragrance, personal services and jewelry. One of the most beautiful necklaces was a design from mother and daughter team, Jessica and Barbara Frish of http://www.jessabdesigns.com/. 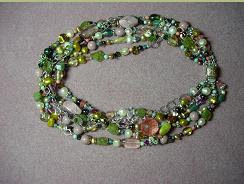 Working solely on intuition, this multi-colored and multi-strand necklace truly captured "Libby's true essence and zest for life! 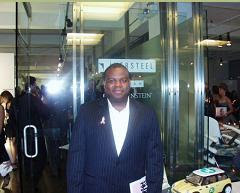 The bid started at $200.00 and the necklace sold for $450.00!The Libby Ross Foundation's mission is clear and simple. They want to make a significant difference in the lives of women afflicted with breast cancer through unique support programs and help banish the disease through research and early detection.For more information on the foundation, becoming a sponsor and volunteering efforts please visit the foundation's website: http://www.thelibbyrossfoundation.com/Please save the date for The Libby Ross Foundation's Winter Cocktail Party to be held on February 23rd, 2006 at the legendary P.J. Clarke's Sidecar located at 205 East 55th Street in New York City.